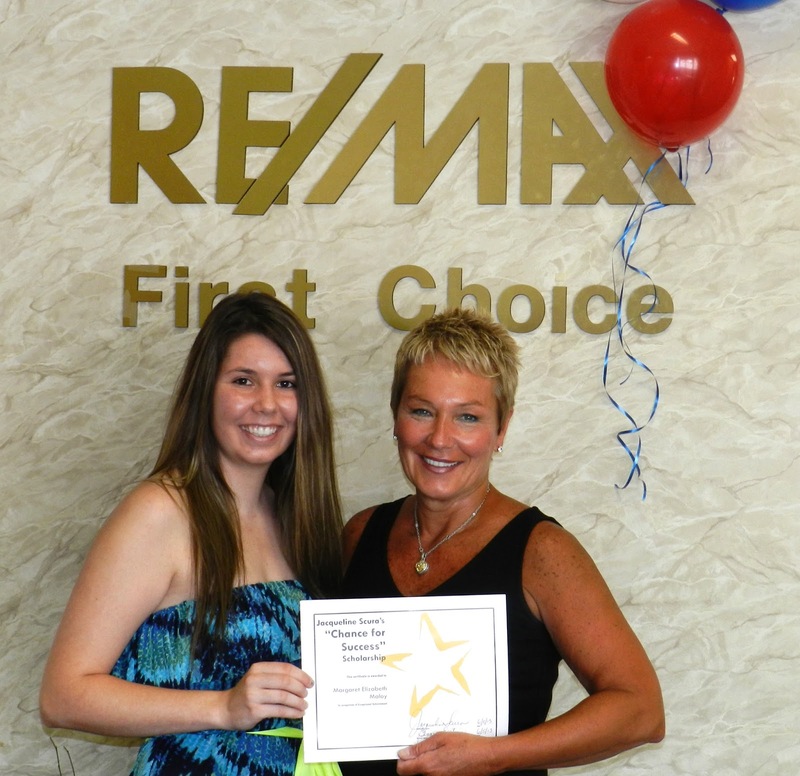 Meet My 2013 Scholarship Recipient! 2013 marks the 10th year that Realtor Jackie Scura has awarded her “Jackie Scura’s Chance for Success” scholarship to a local High School Senior. This choice is about much more than academic achievement. Each year Jackie looks for the candidate who she feels exemplifies the sort of work ethic which has brought her success in her own life and career. This year’s recipient is a driven young woman named Margaret “Maggie” Maloy. Maggie has taken this wisdom to heart, on and off the basketball court. At the beginning of her senior year, she began tough new math courses and found that she needed to buckle down and study harder than ever in order to succeed. Through hard work, she not only achieved outstanding grades – she found a new favorite class.